How many types of skirt do you know? A skirt is basically a piece of cloth that surrounds the lower body. Because the hips are rather larger than the waist the garment has to be tapered to sit on the waist and not fall down, but has to have sufficient width in the hips to be big enough to wear. The basic idea with a skirt is how the fullness from the hip measurement is supressed to create the waist measurement. How this is achieved really defines the type of skirt we have. Of course there are many other variations – how long the skirt is for example, and where it ends at the top – above, on or below the waist. But these are secondary details. Let’s have a look at the key styles we encounter when making our own clothes. The most basic skirt, and the skirt all skirts start off as, is a straight skirt. Here the skirt is a tube based on the hip measurement plus some “ease” (an inch or two so that you can move in your clothes so they are not skin tight). Then the difference in the measurement between the hip (plus ease) and the waist (plus ease) is divided into darts – usually two in the front and four in the back. A dart is a short triangular tuck that is stitched down. 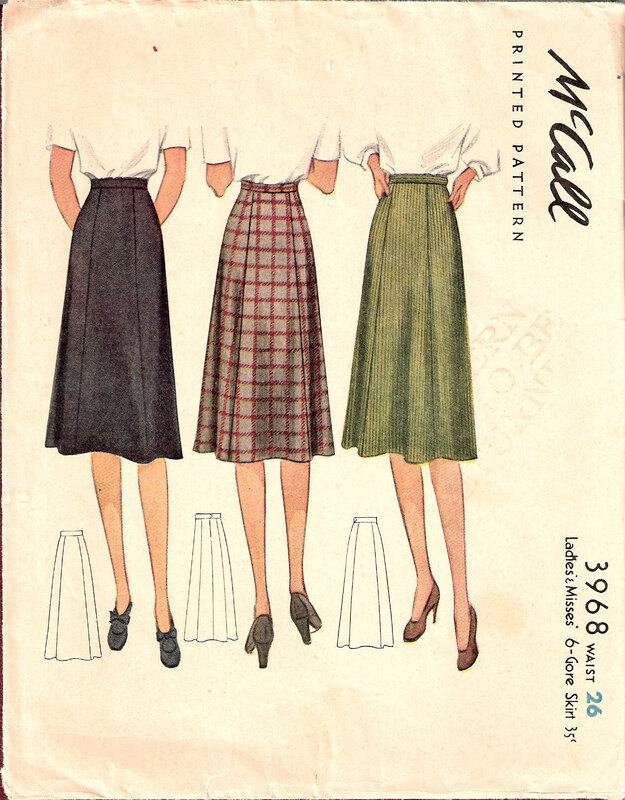 This “one yard line” skirt is quite interesting as it is just one pattern piece (plus a waistband). There is no side seam. The side shaping is simply suppressed into another dart, giving the skirt ten darts overall (two slanted ones in the front). Often the deepest and most shaped dart – the side one – is extended to the hem so we have three pieces to make up – two backs (with a zip and closure at the centre back). 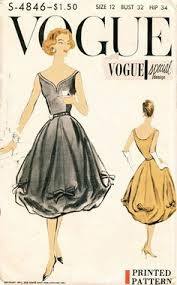 Of course where the closure is, and the waist band treatment are also key variable in a skirt design. But this is a good example of a skirt block turned into a pattern. I used the exact style when I had a piece of nice leather. It was the most economical way to make up a skirt. I stitched one seam and zip to create a tube and then placed the darts at the waist in the most flattering places. It’s a good approach when you barely have enough fabric – or perhaps just the “one yard”. As this skirt ends at about knee or slightly below knee length it has a little feature at the back. This is split to allow ease of walking. It also creates a slight design feature on a very plain skirt. Not everyone looks good in this type of skirt. It is most flattering on women with a fairly straight, or semi-straight bodyline, and a flat stomach, and slim legs. It is sometimes known as a pencil skirt. If it is not too tight in the hips, has the right shaping and if it is the right length however it can be worn by curvy types too, but it needs a few careful variations. The next skirt to consider is known as the A line. For obvious reasons. This skirt is the same as the straight skirt at the waist but the basic skirt has been divided into front and back and a few inches added to the width of the hem. This line is now connected up the bottom of the side dart to create a slight flare. Around two inches on each side seam at the hem would be ideal. The A line is another classic skirt, never really out of fashion. The length and degree of flare will make a difference to the look (most woven maxi skirts are this shape), but is a skirt that will suit more women than the straight skirt, especially if they are larger in the hips than the shoulders – with a more shaped bodyline. The other great advantage of the A-line is that the shape allows ease of movement and doesn’t need a split or pleat at the back. If you have very slim legs this is not a great look for you as it will make them look slimmer still. 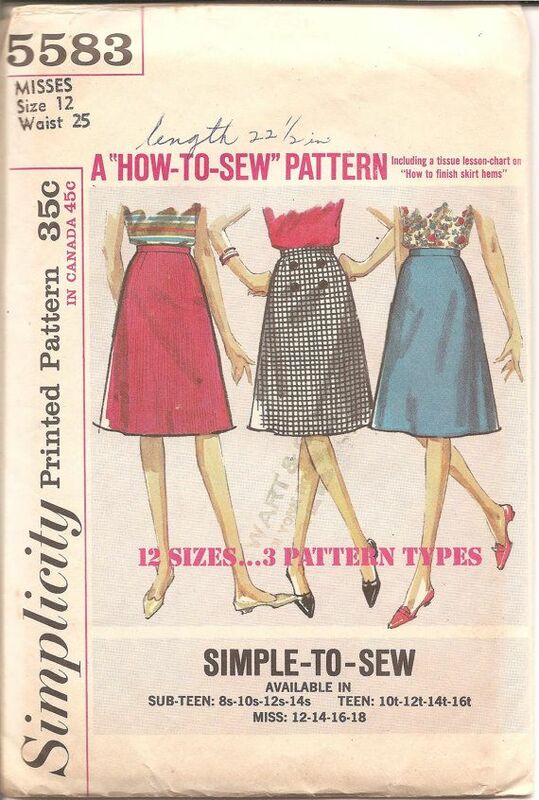 This is best illustrated with diagrams from Winifred Aldrich’s Metric Pattern Cutting. Here you can see how the basic skirt block is slashed to the base of each dart first. Then the darts are closed, creating flare at the hem. This creates a very nice flat shape across the front and back, with no fullness around the waist, with quite a lot of flare at the hem. This skirt normally drapes really nicely when created in a softer fabric, and looks good on “bottom heavy” figures, especially where the upper body is somewhat petite, perhaps with a wide belt. 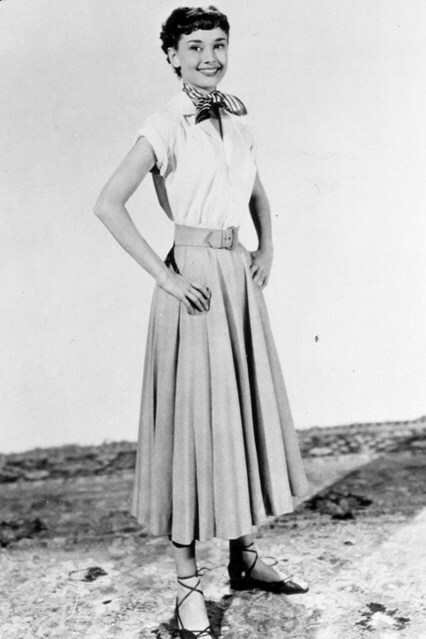 Here is a photograph of Audrey Hepburn in what appears to be a flared skirt, but it maybe constructed differently in her version, for example a gored or circular skirt (see below). Let’s just cover the circular skirt as it is an interesting concept. Imagine a large circle of fabric with the waist measurement (plus ease) as a smaller circle cut from the centre. This gives more flare than the flared skirt and is not a look for everyone. 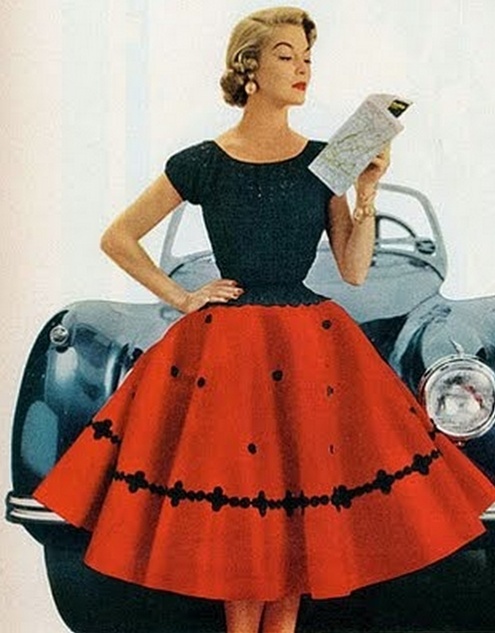 It is quite an extreme look that was popular in the 1950s, often with a loud print or embroidery or applique. Again a relatively small waist is essential. There are many tutorials on how to make a circular skirt on the internet. The gored skirt is essentially one where the darts are extended to the hem to create a nicely shaped fit. We can eliminate or move the various darts and side seams to create a four, six or eight gore skirt. You probably don’t want more than eight as each seam will add bulk, but you can be quite creative with the gores (they are a bit like a princess line dress in that the vertical lines allow close fitting and create a vertical line which is flattering on most body shapes). Width can be added at each gore to create flare. On the other hand a slim skirt can also be created this way. The defining feature is panels and an absence of darts. This style was popular in the eighties, often with flare added below the knee for a dramatic effect. It is a style that, depending on the degree of flare, and length, will suit most figures. A pleat is a fold in the fabric which takes some of the fullness away above the hips, allowing some width lower down. 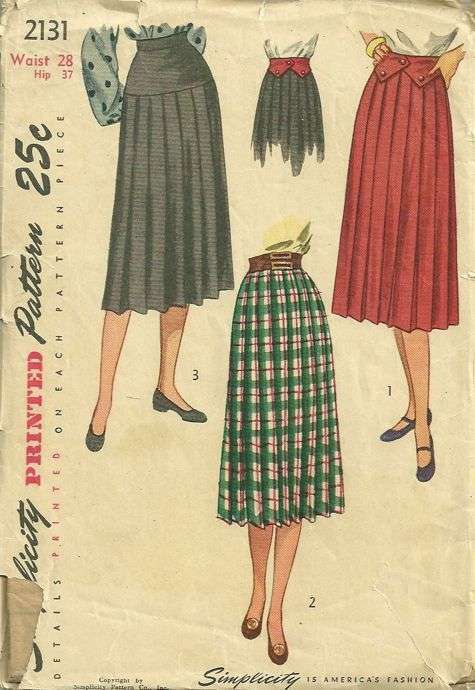 One of these 1940s versions (3) has a yoke which will be created like the flared skirt. This will make it slimmer across the stomach. Alternatively pleats can be stitched down here. This is an all round knife pleated skirt, but one or more box pleats (where the pleats join together to create a box shape) can be used in an otherwise fairly straight skirt to good effect. And a “kick pleat” at the back of a straight skirt can allow the all important room to walk. 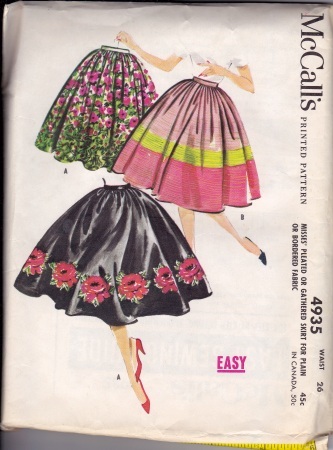 A gathered skirt is simply one where the fullness at the waist is gathered up rather than being tailored with darts. It is a very basic design and probably the most “primitive” sytle as the fullness stays in the skirt and falls just where it happens to fall. This sort of skirt doesn’t need a pattern and is often the first skirt a beginner will make. Many “national” costumes feature one. The gathering can be into a waist band, or created by simply using elastic in a casing – many pyjamas use this basic idea. In my view the “dirndl” skirt doesn’t really suit anyone, except little girls and Bavarian beer sellers. The fullness just sits on the body and makes the lower half look huge. 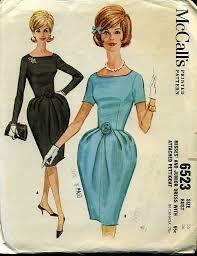 This may have been the idea with some of the 1950s patterns, but generally it is not a great shape for most women. This is an unusual design in that the skirt is narrowed towards the hem, often with some exaggeration in the fullness over the hips. In extreme versions it will hobble the legs so is best made rather short, or with a deep split at the back. It is a skirt that suits women with slim legs. Less exaggerated versions can be attractive – just a loss of one inch at the hem can balance out fuller hips. This is a very full gathered or flared skirt pulled in at or below the knee to create an unusual look. 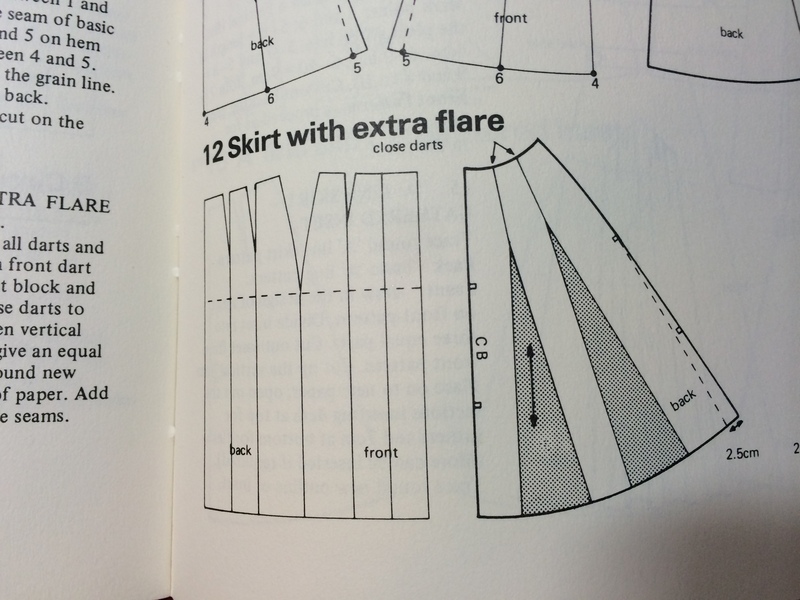 I hope this is useful when you are designing or choosing a skirt. The shapes you choose will enhance or disguise your shape so it makes sense to think about it. But maybe we might try a different style or shape for a change. What skirt styles do you like wearing and making? Kate, this is an excellent piece. Thank you very much for the detail. I’m very curious about your leather skirt! I’ve never heard of a one-yard-line skirt although it makes sense to do this. I haven’t tried making a gored skirt although I enjoyed wearing a gored skirt that was flared at the bottom in the late 1980s. I would also like to try a flared skirt. (Audrey Hepburn in Roman Holiday to me is the epitome of lovely.) I typically wear straight skirts, which are the most flattering style on me because I’m fairly straight in the hips and have long legs relative to my torso. 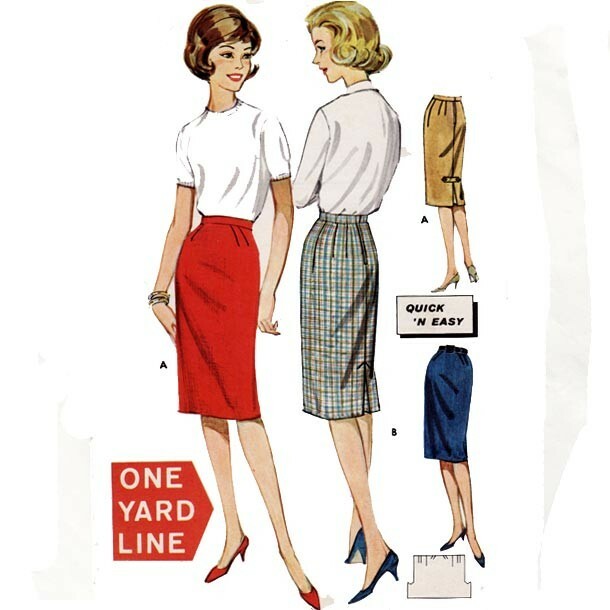 I also like slim A-line skirts, which I find very comfortable and easy to wear, especially for work. I think you’re too hard on the dirndl skirt though! I love a variation on this type of skirt in summertime as it can be very feminine and light. I have a colleague who is very petite and who almost always wears this style of skirt with fitted sweaters and flats and I think she looks lovely. I always think she looks a bit like the Degas ballerina. I have trouble with skirts, due to my little fullness around the tummy area. I need to learn how to make the tummy enlargement adjustment in order for them to sit well. Without the adjustment, they tend to ride up. I like the flared skirt , especially for dancing…..lots of floaty material around the bottom, and yet more fitting to show off the moves! teehee. Yes, that was one great thing about the 80’s. I had a purple dress with a flared skirt bottom.. shoulder pads to Here! I love that dress. I do like a pencil skirt, if Im wearing the right top with it, or a blazer. An A line skirt should suit me, but I don’t care for them for some reason. Anyhow…fantastic post as always and wonderful food for thought.